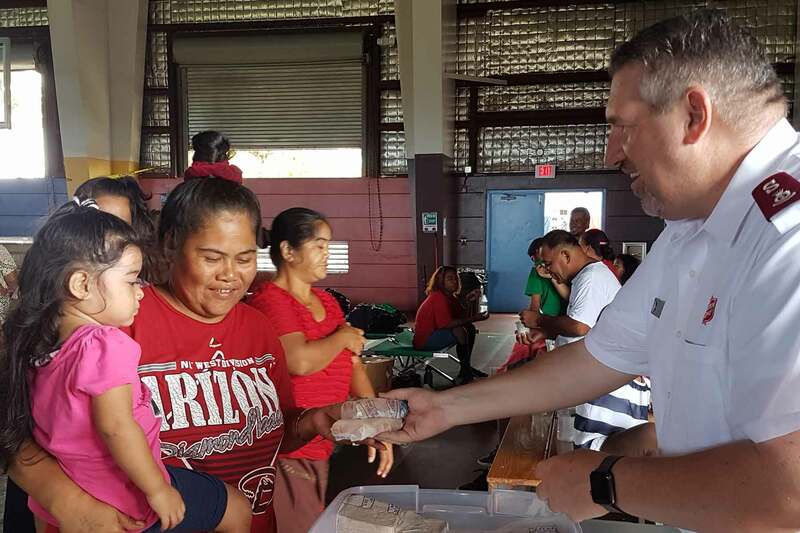 The Guam Homeland Security/Office of Civil Defense asked The Salvation Army Guam Corps Emergency Disaster Services (EDS) to serve lunch on Monday and both lunch and dinner Tuesday to the remaining families sheltered at the Astumbo Gym. “We are tasked by Leo Espia, Deputy Director of Guam HS/OCD to cook and serve lunch and dinner for 52 families or approximately 300 individuals. Over the weekend, with the help of staff from Admin, Family Services and the Lighthouse Recovery Center we put together menus and logistics to transport food to the Astumbo gym. 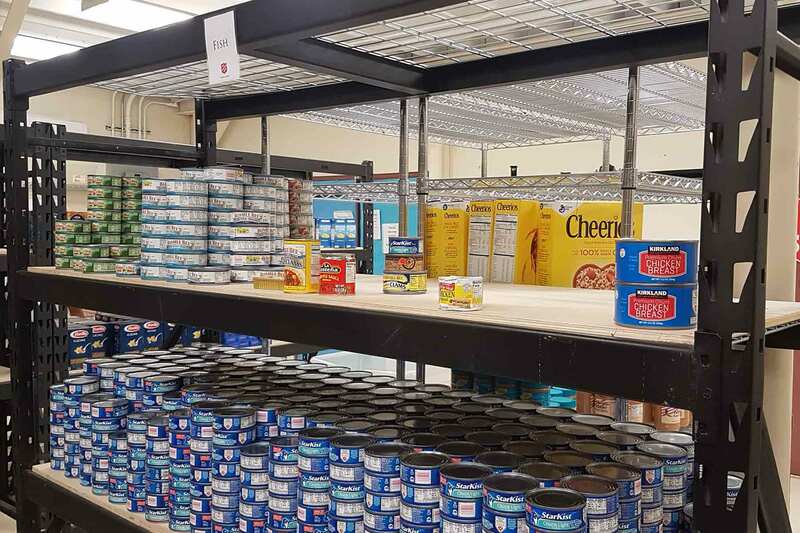 The Guam Corps will take tables to serve from, and all the other items such as forks, spoons, knives, napkins to serve those most affected by Typhoon Mangkhut. We will be on site to serve meals at 12:30 pm for lunches and 5:30 pm for dinner.“ said Major Tom Stambaugh, Guam Corps Officer & Micronesia Coordinator. The Salvation Army has been active in Emergency Disaster Services response for every major disaster in the United States since 1900. On Guam, we started in September 1992 in the wake of destruction left by Typhoon Omar. Since then, the Guam Corps has helped tens of thousands of islanders. We’ve grown from Emergency Disaster Services to include so many other services that help our island community 24/7/365. 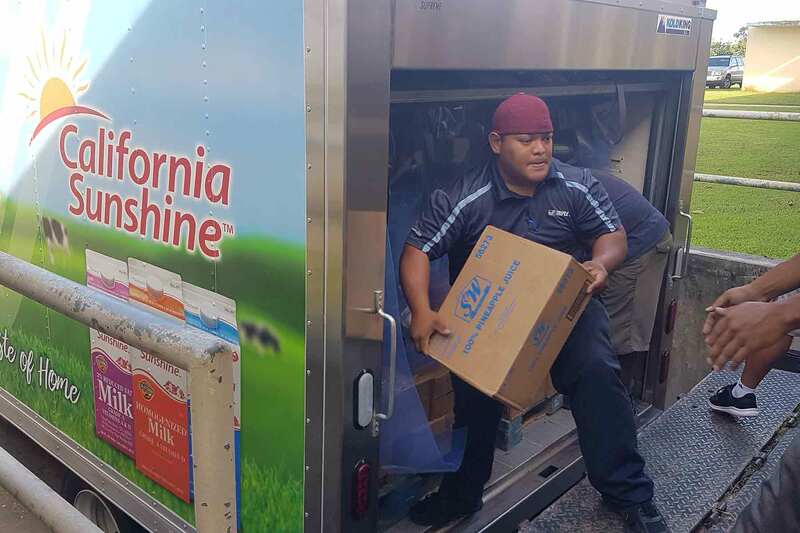 We help give a hand-up to those in the most need, in Guam. Serving survivors is in The Salvation Army’s DNA. Already part of communities, we are on the ground when disasters strike and able to respond and serve immediately with emotional and spiritual support, food, water, shelter, and financial support. If you would like any additional information about our programs, events and services, please call us at 477-9873 follow us on Facebook and Instagram, or email cj.urquico@usw.salvationarmy.org. Every Thursday and Friday morning, our Client Choice program provides food to low-income families, our Manåmko', and those who are homeless in our island community. We expect to see more people come to our pantry tomorrow due to Typhoon Mangkhut. Earlier today, we met with the Office of Civil Defense to address mass feeding of families displaced by Typhoon Mangkhut who are currently sheltered at the Astumbo Gym. There are 53 families, amongst them young children that need food assistance. We need help from the community to gather and donate food supplies to help give people a hand up. Donations may be delivered to our Administrative Offices in Tiyan from 9 am to 4 pm. Canned vegetables, especially those without added salt. Canned meats and fish, such as chicken, ham or beef, tuna, and salmon. Whole grain, low-sugar cereals such as plain instant oatmeal, and bran flakes. starting point for a one-dish meal. Whole grain crackers (especially reduced-sodium) and popcorn. Spaghetti sauce, salsa, and canned beans, including baked beans. Salad dressings or spreads, and condiments such as ketchup or mustard. within the date marked on the containers. Diapers and wipes are much needed. If you would like to help, please call or WhatsApp 988-3333, or email cj.urquico@usw.salvationarmy.org.